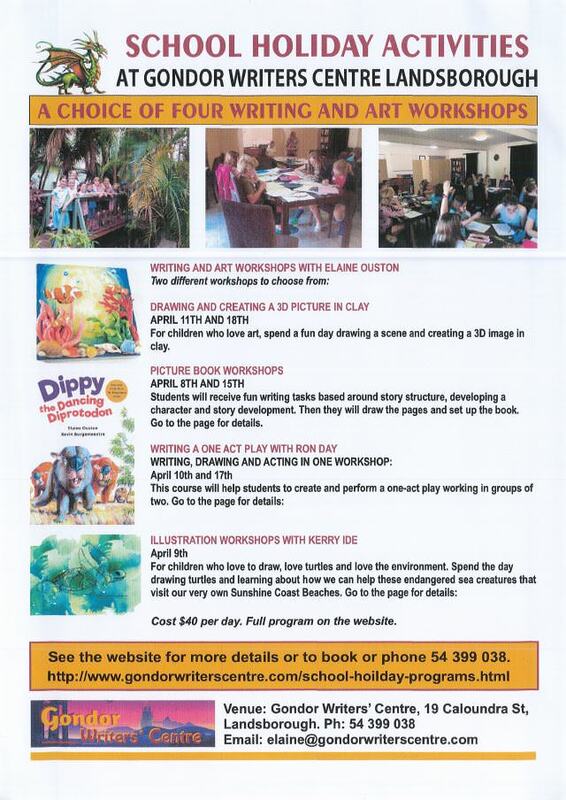 A choice of four writing and art workshops are being held at the Gondor Writers Centre in Landsborough during the Easter school holidays. See the flyer below for all the information. This entry was posted in Community News and tagged Art Workshop, School Holiday Activities, Writing Workshop on March 25, 2019 by Stephanie McCredie.